Improved arc concentration improves overall welding capabilities, from fillet welds to thin plate materials. Several different welding modes (Aluminum, Steel & Stainless) that improve weld quality. Silent Pulse function improves thin plate weld material. AC frequency range from 50~200 Hz improves heat input control. AC+DC Hybrid made provides long life for Tungsten electrode. Capable of Standard, Hard, and Soft AC waveforms for high quality aluminum welding. Support for both manual and robotic applications. 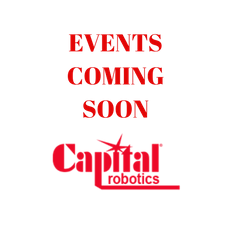 Analog and digital remote pendants optionally available. Improved crater fill repeat function that prevents damage to the electrode and base material. 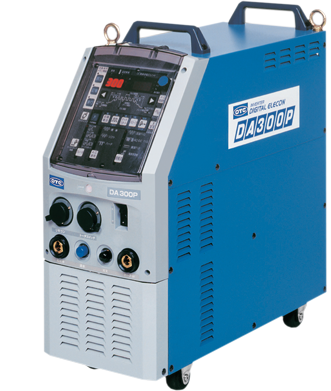 The DA300P features an all-new AC Frequency variable control systems that provides the ideal conditions for various aluminum thin plate welding applications. The AC Frequency has a greater arc concentration when compared with conventional machines, and this allows the user to obtain the desired weld penetration and heat input. The AC Frequency control can be set between 50 and 200 Hz for desired frequency and bead shape, while keeping noise in the production environment to a minimum. Even when the AC frequency is increased, there is only a slight decrease in welding current, resulting in consistent weld quality. Even if the AC frequency increases, the weld current remains largely unchanged, providing uniform welding quality.